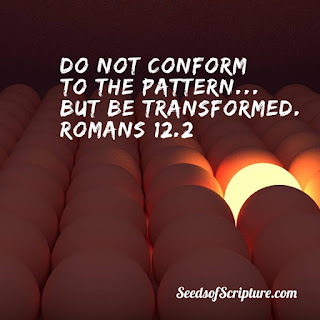 Seeds of Scripture: Conform or Transform? 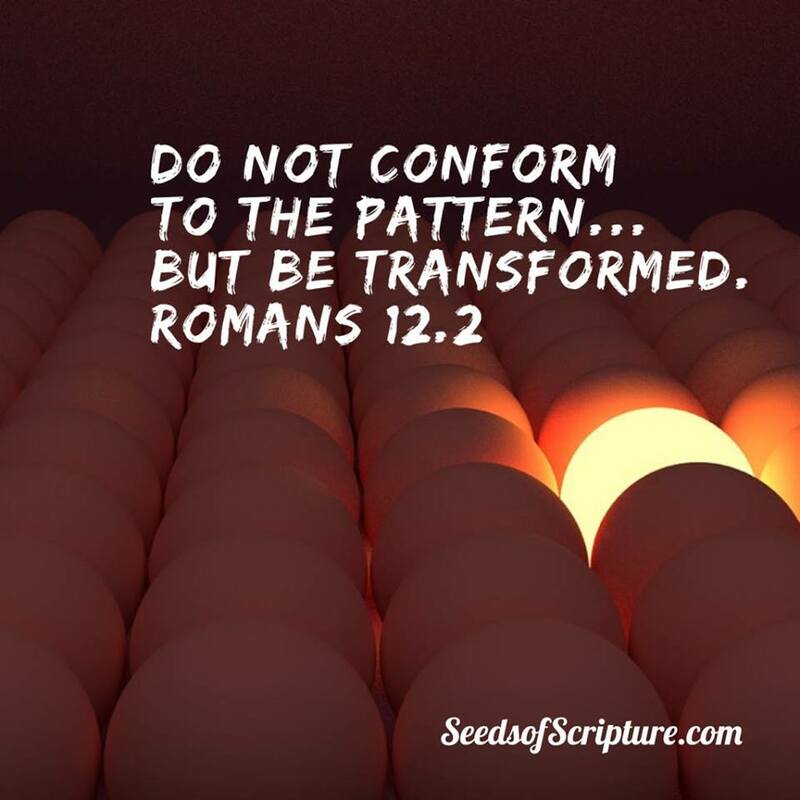 Do not conform any longer to the pattern of this world, but be transformed by the renewing of your mind. Then you will be able to test and approve what God’s will is – His good, pleasing, and perfect will. How do we know God’s will for our lives? Three key words jump out from this scripture: conform, transform, and able. Conforming most often relates to external appearances - looking and acting like others in order to fit in. The scripture says stop trying to fit in to this world because we belong to another kind of world – God’s kingdom. Transformation involves a fundamental change in our thought patterns which leads to character change. Shifting our thoughts away from the world’s set of standards and toward God’s perspective for living well initiates the ongoing process of transformation. The world promotes personal happiness through popularity, possessions, experiences and body shape. God says real joy comes from sharing our material wealth and using our time to serve others. Jesus says work hard but don’t strive for status or recognition. He also says that while material wealth provides temporary pleasure, acts of service bring long lasting reward. We are better able to know God’s good, pleasing and perfect will when we approach life with His perspective. In what ways are you conforming to the world? 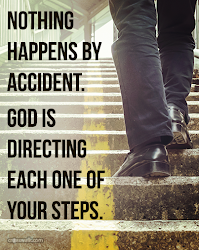 How can you adjust your mindset to better align with God’s way of life? Is there a cost to shifting your value system? Can you foresee the benefit of living in God’s will? Exciting news! 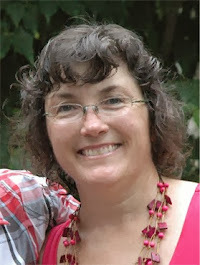 I’ve been renovating my website and a new space will emerge soon.